This collection of short stories and poems is one of my very favorite books. I loved it when I was a kid and now I love reading one or two of the stories to the boys each night before bed during the lead up to Christmas. The stories are absolutely charming and the pictures are beautiful and I wish this version (from 1969) wasn’t out of print (the version currently in print cut out a few of my favorite stories–I have no idea why). Don’t let the missing stories stop you from picking up a copy of the new edition, if you don’t have one already. This book is contains so much holiday joy; it really shouldn’t be missed. 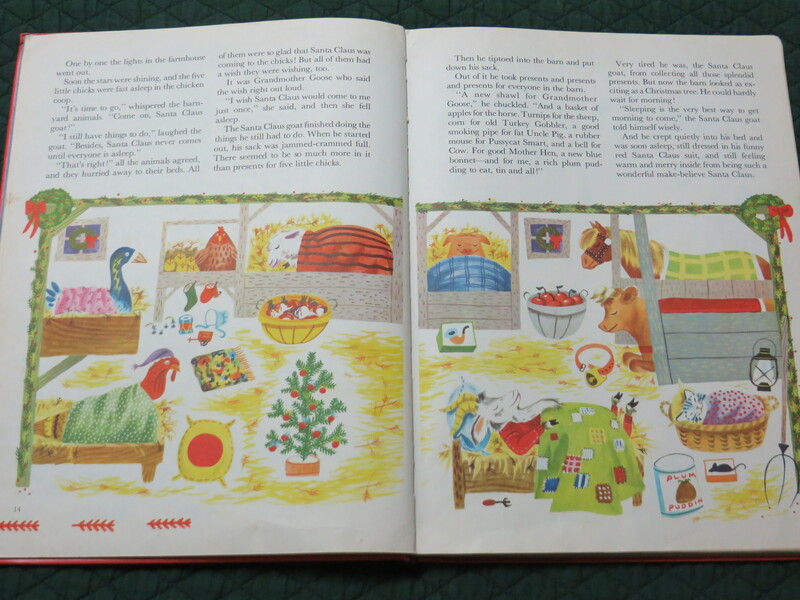 This entry was posted in Chapter Books and tagged Animals, bedtime, Christmas, food, I read this as a kid, out of print, Richard Scarry, The Animals' Merry Christmas, toys. Bookmark the permalink.